A contemporary romance that hits all the right notes - the gorgeous first novel by Emery Lord, author of When We Collided, The Names They Gave Us and the Zoella & Friends 2017 Book Club title The Start of Me and You. After finishing with her bad-news boyfriend, Reagan O'Neill is ready to leave her rebellious ways behind. 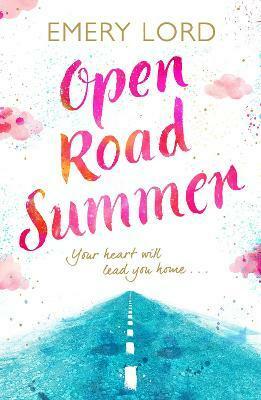 Reagan's best friend and country superstar Lilah Montgomery is about to kick off her 24-city tour, and Lilah is nursing a broken heart of her own - so this is a perfect opportunity for a girls-only summer of break-up ballads and healing hearts. Perfect for fans of Jennifer Niven, Jandy Nelson and Rainbow Rowell. Emery Lord is the author of Open Road Summer, The Start of Me and You, When We Collided and The Names They Gave Us. She lives in a pink row house in Cincinnati, with a husband, two rescue dogs, and a closet full of impractical shoes.